I have signed up for Online Card Classes – Sparkle & Shine. It started yesterday and the days topic were loose glitter. 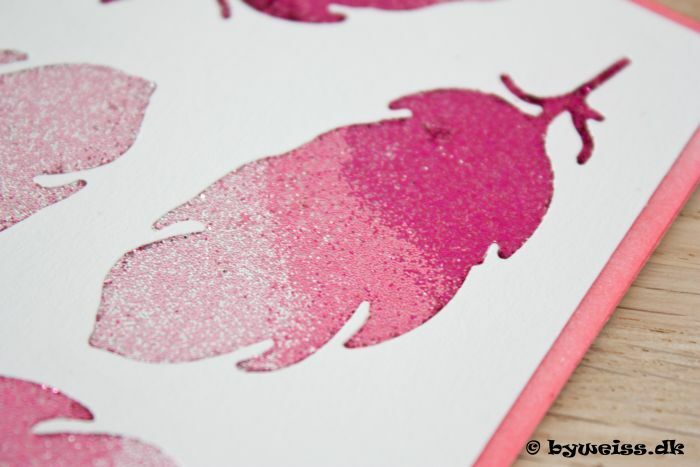 I got inspired by Jennifer McGuires cards, where the glitter makes a beutiful background. 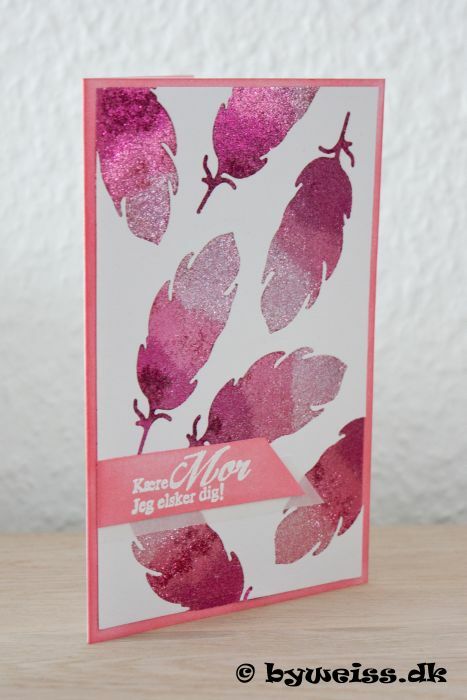 I used a feather die from sizzix thinlits (called Sophie Guilar), stamp-sentiment from Panduro Hobby (danish store), Glitter from Martha Steward and Distress ink Worn Lipstick. Here is my card from day 1. 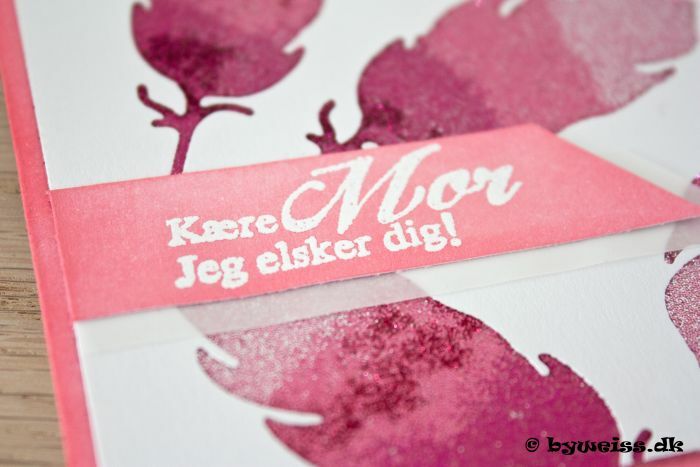 The sentiment is danish at says “Dear mom, I love you”. It’s mothers day in Denmark on sunday, so I thought the sentiment were perfect. Love the class already and i am looking forwart to se the videos for day 2! 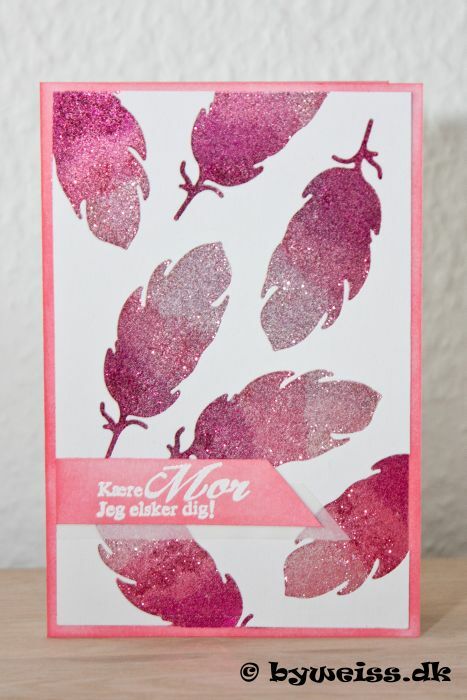 Dette indlæg blev udgivet i Glitter, Kort, KreaBlog, Kursus, Online Card Class, Scrap af Ann. Bogmærk permalinket.